You’d be hard pressed to find a designer more steadfast in principle and naturally inspired by the world around them than Dries Van Noten. Here, we take a look at these principles, how the designer’s insistence to maintain them has grown his legendary output thus far, and that being born into the third generation of local Antwerpian tailors can make you a baron. A founding figure of the legendary Antwerp Six, Van Noten graduated from the Royal Academy of Fine Arts in 1980 alongside Anne Demeulemeester, Walter Van Beirendock, Dirk Van Seine, Dirk Bikkembergs, Marina Yee, and honorarily, Martin Margiela. It was here that Dries discovered how to derive knowledge and inspiration from origin and common experiences rather than exclusively style. This organic way of thinking permeates the design philosophy of his eponymous label, which the budding artist started in 1986. To distill his signature style would do a disservice to the multi-faceted designer, but if necessary could best be described as “'eclectic poetic bohemian,” drawing inspiration from ethnic and folklore motifs with vibrant splashes of color, finely-detailed prints, beautifully tailored fabrics, beadings, and embroideries. From this, one might surmise that his designs challenge the human form. They don’t. At their core, his shapes are conventional. A Dries suit is going to be perfectly tailored, but it will never drastically alter your silhouette or restrict your movement. It will, instead, plunge you headfirst into a world of colors and patterns, the likes of which could only exist within the mind of Dries. No other designer harnesses the cerebral effect color has on the human mind, invoking fever in those who see his pieces for the first time. In the same vein, his meticulously curated runway shows operate closer to art installations than traditional catwalk moments. Van Noten submerges himself entirely in the process of creation, ensuring transparent sourcing, and supporting the family-operated mills that supply his textiles. 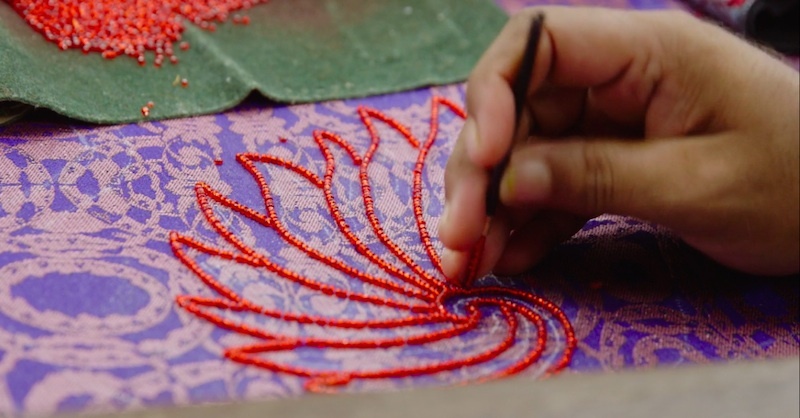 Hand-embroidered, impossibly intricate floral patterns are sewn by master seamstresses in India who Dries and his team fly in to work with directly, ensuring quality of materials and accuracy in design. Barney’s New York took notice of Dries’ work back when the Antwerp Six traipsed their way around London, ordering a collection of the young designer’s menswear in the smallest available sizes, reselling them as womenswear. This first touchpoint would bloom into a committed relationship with the global retailer, as Barney’s regularly stocks his new collections as they develop. 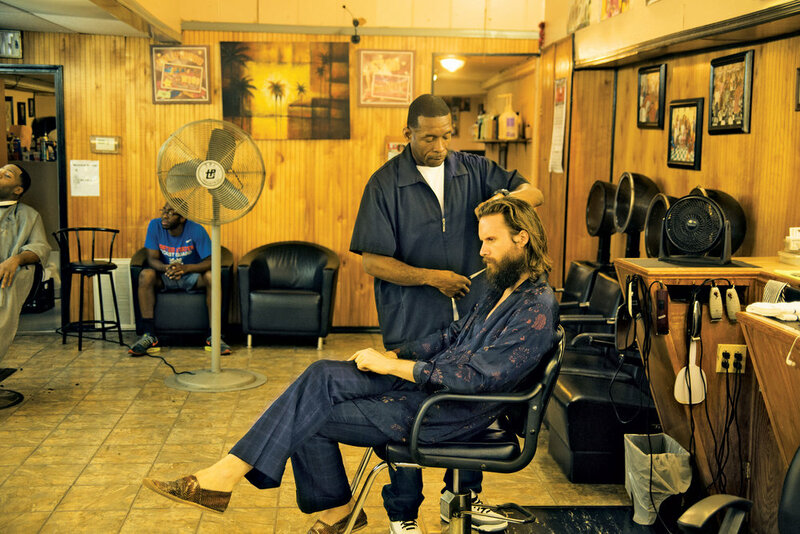 Other notable customers include Queen Mathilde of Belgium, Father John Misty, and sibling actors Jake & Maggie Gyllenhaal. 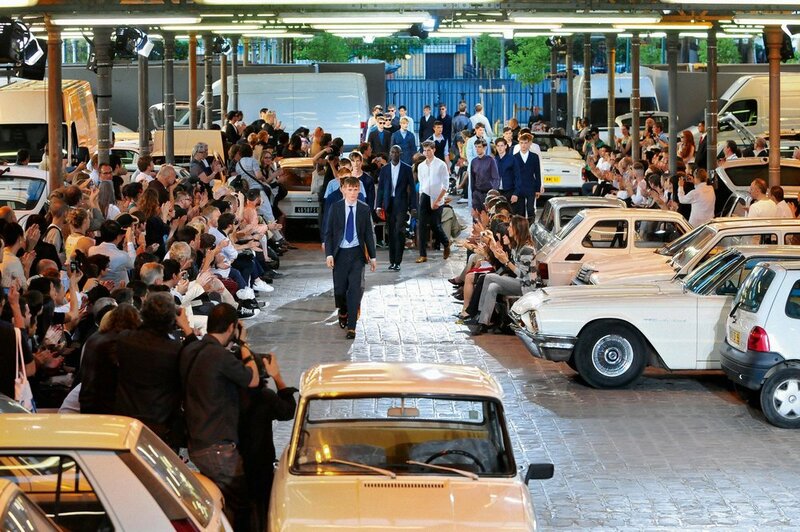 Despite a repertoire of high profile customers, Van Noten doesn’t offer haute couture. Doing so would run perpendicular to his principle: If you see it on the runway, you can buy it in-store. If I’ve not qualified Dries enough (at least regarding his principles) I’ll serve his Fall/Winter 2017 collection, in which he prominently blew-up the brand labels of his cloth suppliers, tweed mills, knitwear, and cashmere producers, proudly displaying them as sewn patches, on printed sweaters, or quilted sweatshirts. These heritage companies have been milling textile in Scotland, Japan and the West Country of England for decades and are now fighting for survival in a world where quantity supersedes quality. 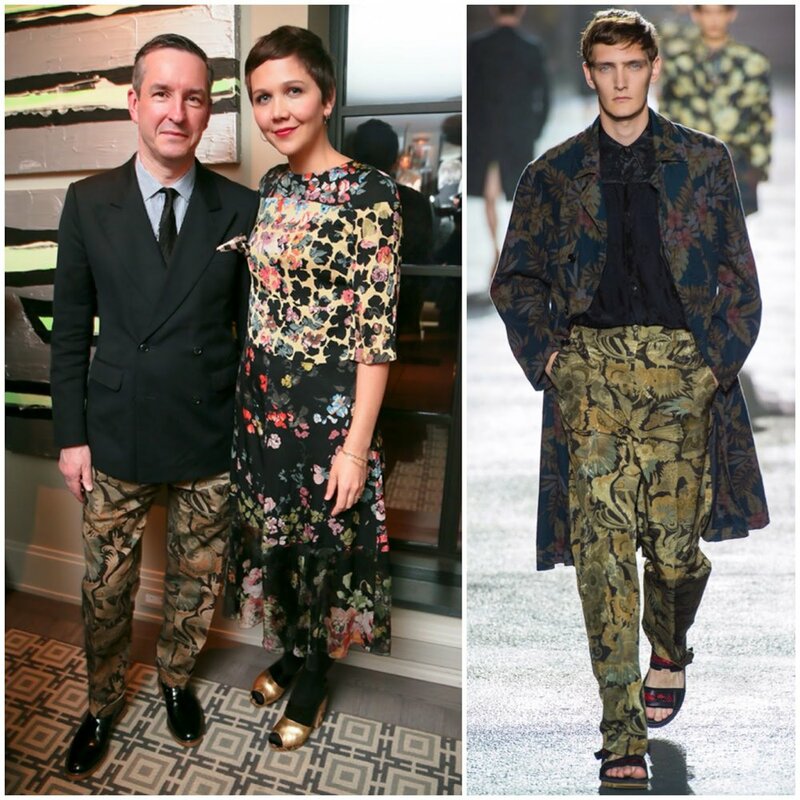 Dries supports them by not only using their materials, but showcasing their brands as an extension of his own. 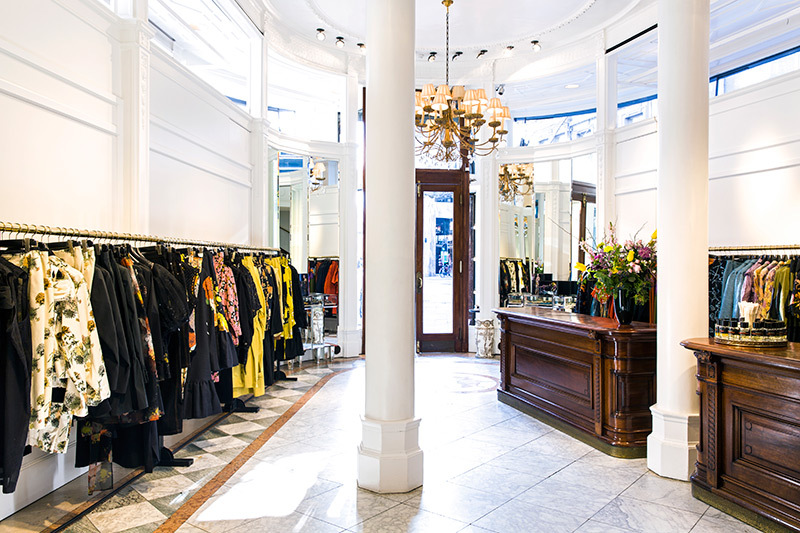 Bumble around Antwerp a bit and you’ll stumble across Dries’ flagship Het Modepaleis, a long-standing love letter from the designer to his home city. Each of his boutiques around the world still differ greatly in interior and display, running contrary to his homebody personality. Dries doesn’t advertise. Only last year did Dries sell a majority stake of the business to the Spanish luxury group Puig, after three decades of independent rule. This acquisition is simply a reflection of the difficult existence of a standalone brand in today’s marketplace - his label had been entirely self-funded since the beginning of his career; the seed he planted in Antwerp had grown into a tree of global proportions. His fashion empire reflects his sensible disposition and image. In person, van Noten is modest and charming, and much like his clothes, has an understated yet refined look about him even in his 60th year. He’s sometimes seen as a bit distant, though I suspect this stems from his distaste for the flashy, air-kissing ways of some of his peers (think John Galliano, or Karl Lagerfeld, RIP). At the end of the day, Dries sets sensationalism aside, and lets his clothes talk to his customers. His independent spirit and commitment to creative integrity shine through via a poetic and left-of-center approach to design. Dries doesn’t boast this. He simply creates beautiful things. None of which require a marketing budget. Oct 14 Designer Profile: Haider Ackermann, "A Rare Hope For The Future"